We normally use spinner loaders when the app wants to load the data from a network call. Instead of using the usual loaders, we can make the loading screen more interesting using Facebook’s Shimmer library. This library adds Shimmer effect on to any custom view that we define. You can notice this shimmer effect in Facebook’s mobile and desktop apps. This article explains how to use the Shimmer library in your apps with an example of loading a list data from a JSON http call. To get shimmer effect on any layout, you have to place your layout inside ShimmerFrameLayout. To start the animation, you have to call startShimmerAnimation() on ShimmerFrameLayout. That’s all, you can immediately notice the shimmer effect on your layout. You can find the additional documentation on the Shimmer’s page. Below is the code snippet to get the Shimmer effect. First, place your layout inside ShimmerFrameLayout. To start the animation, call startShimmerAnimation() from your activity. 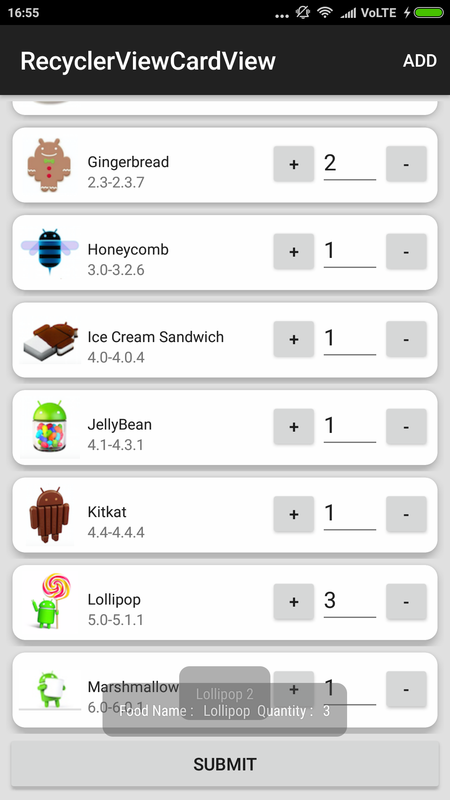 To demonstrate this example, I have created a sample JSON that contains a list of recipes. This endpoint simulates the network delay by adding 2 sec delay before responding the JSON so that the Shimmer effect can be noticed. Let’s try the Shimmer library by creating a simple app. 1. Create a new project in Android Studio from File ⇒ New Project and select Basic Activity from templates. 2. Add Shimmer dependency to your build.gradle and rebuild the project. 3. Add the below colors and dimens to respective files. 4. Create a new layout xml file named recipe_placeholder_item.xml. 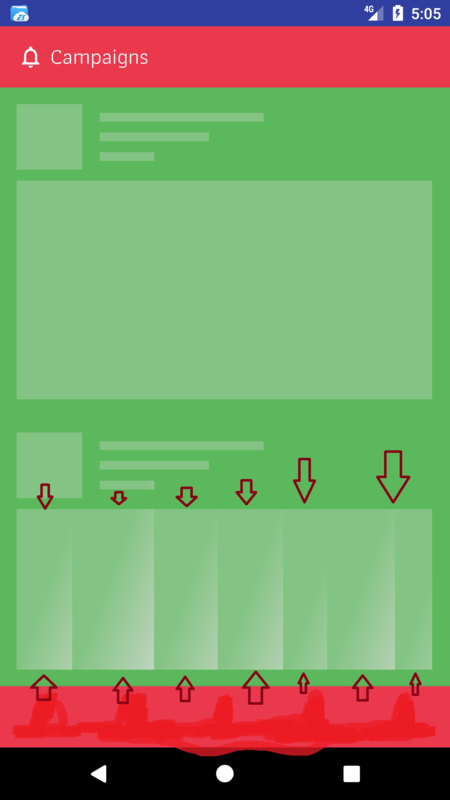 In this file we define the placeholder layout using plain View elements. All the views will be placed similar to actual list items. 5. As the placeholder view is ready, let’s add it to our main activity layout. Open the layout file of your main activity i.e activity_main.xml and include the placeholder layout. We are including the placeholder layout three times to make it appear as list. 6. Open MainActivity.java and start the Shimmer animation by calling startShimmerAnimation() method in onResume(). We are also pausing the animation in onPause() when the activity is paused. Now if you run the app, you can see the below Shimmer animation. Now as our Shimmer loader is ready, let’s see how to load the JSON feed in RecyclerView and hide the shimmer loader once the list is rendered. By following the remaining part of the article, you will understand how to implement the Shimmer effect in a real world app. 7. Open the build.gradle and add RecyclerView, Glide and Volley dependencies. 8. Create a class named MyApplication.java and extend the class from Application. This is a singleton class in which the Volley library will be initiated. * Created by ravi on 18/01/18. 9. 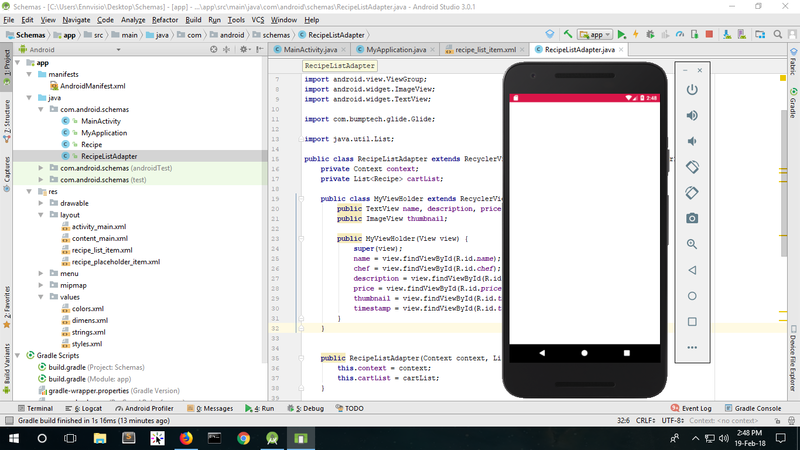 Open AndroidManifest.xml and add the MyApplication class to <application> tag. We also need INTERNET permission as we are going to make http calls. 10. Open activity_main.xml and add RecyclerView widget below the ShimmerFrameLayout. 11. Create a new class named Recipe.java and define the following variables. This is a POJO class used to serialize the JSON. 12. Create a new xml layout named recipe_list_item.xml. 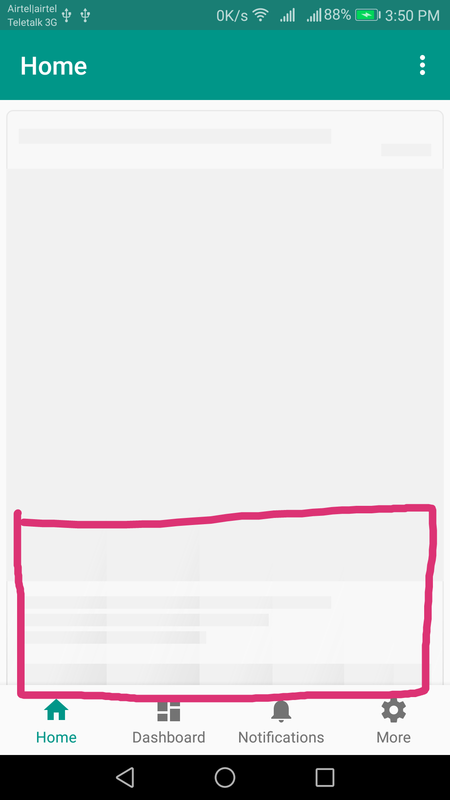 This layout holds the actual list row with a thumbnail image and few TextViews. 13. We need another class to write the necessary adapter required for RecyclerView. Create a class named RecipeListAdapter.java and add below code. 14. Now we have everything in place. Open MainActivity.java and modify the code as shown below. > fetchRecipes() method fetches the JSON by making Volley’s http call. The JSON is parsed using Gson serializer. > Once the JSON is parsed and added to RecyclerView adapter, the list is rendered and ShimmerFrameLayout is hidden making the actual list visible on the screen. I hope this article is pretty simple and explained very well about Shimmer library. If you have any queries, do post them in comments section below. tutorial on google app engine sir . Was trying this few days ago with different library but this is also cool. Thanks a lot. If you have time can you do a tutorial on multiple filters in recyclerview just like flipkart or amazon. will be really helpful to lots of people. I’ll think of one. Thanks for your suggestion. Do you have any background image or applied background color? It should in preExecute method as the loader has to be shown before making network call. On PostExecute you can hide the layout. But why are you still using Async to make http calls? Why not Volley or Retrofit? Can u add some code snippets to cache the JSON data while offline and refresh when phone goes online ? it will be very useful! You can use Realm to do that. Could you tell me why don’t I get smooth Shimmer animation? It’s like breaking in the middle of an animation. I have attached an image. I have seen it in my app also, but removing the background color of the view solves the problem. Pls try and let me know. yea, It works that way. Pls join our slack channel. is this be a problem??? hi sir i want to build recycler view like attached image i dont have problem with ui nor with counting of items . Any code you wanna post? i can post complete code of below image . but how to post the code here.there is only option to attach image. I am preparing one article Sathish. Hi Sir. I learned a lot from your tutorials. But It’s a humble request to you that can you please post article on rx java and mvp and mvvp pattern with retroft. I have already started working on RxJava and planning to publish set of articles at a time. The articles will be published in the 1st week of March. Once they are published, I’ll move on to Clean Architecture, MVP, MVVM other architectures. Very helpful and easy method. Thanks! I’ve an issue where when i hide the shimmerLayout (View.GONE), the recyclerView doesn’t show up. It just an empty view. When i comment all the shimmer implementation, it works fine. How do i make the shimmer effect last for more than 2 seconds before the recycler view shows up? Use a timer with an interval of 2 secs before toggling the visibility of Shimmer and RecyclerView. I wonder if something is wrong when you choose Profile. The shimmer effect loops continously: is it on purpose or it should show something? Thanks in advance. 🙂 Best regards. It’s on purpose. The profile is not integrated with server so only the shimmer appears always. 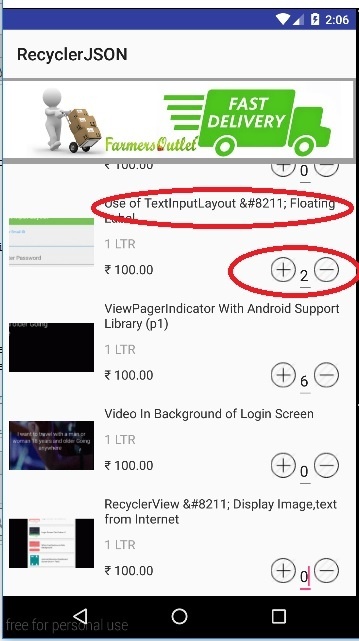 Thanq Bhayya…It worked for me…I am a beginer….If u give guidence like this…we can understand anything in the android development…Thanq so much Bhayya. It worked for me, very helpful. Thanks a lot! Hello Sir, I am new in android, basically .NET guy. I followed your articles and these are really very helpful. I want to know more on retrofit, can you help me on this? I have one article on Retrofit. can we repeat the animation at any time during the lyfecycle of the app? Yes, you can stop and start the animations. It’s just demo of profile screen, it won’t load any data. I have changed the variables in recipe…. Is storing image in binary compulsory? actully from web i stored images in binary format , so from android i need to use same database and table ..
could you please help me out of it. Sir This is Great ! Btw whats Your Favorite Volly or Retrofit ???? Hello Ravi, how do we impliment the ‘onSelected’ method for the shimmer to perform an action when an item on the list is selected? Hello Ravi,first thanking for your article…I have a tab layout with viewpager having a recyclerview inside.Here i am refreshing recycler view in setUserVisibleHint method of my fragment class.I want to show the shimmer animation when i load the list each time? Hello Ravi, i got stuck with an issue which i have mentioned below, can you please revert me a solution for the same.